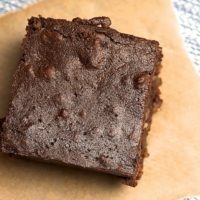 I was hit with a wave of nostalgia when I happened upon this recipe from Everyday Food. My mother used to make a very similar sweet treat. 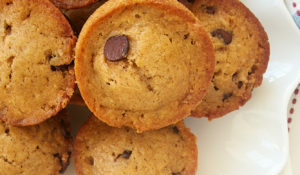 She took the quick and easy route, using refrigerated peanut butter cookie dough baked in mini muffin cups. Then, she would press a peanut butter cup into the center when they came out of the oven. I, too, have made that version many times. However, it seems to be next to impossible to find refrigerated cookie dough that doesn’t have trans-fats. So, I’ll be sticking to this slightly more involved recipe from now on. One of my favorite aspects of these cookies is the coating of sugar each cookie gets before they are baked. It really ups the sweetness and gives them a little something extra. I shared a batch of these with my co-workers, and the quickly emptied container told me that they were a hit. Luckily, I managed to save a few for us and for photographic purposes. They are definitely a must-bake for all you chocolate and peanut butter fans. 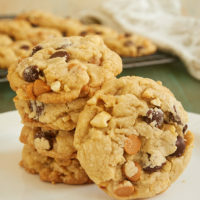 Visit the Recipe Index for more cookie recipes. 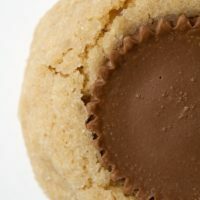 Peanut Butter Surprise Cookies are soft peanut butter cookies with a peanut butter cup right in the center! 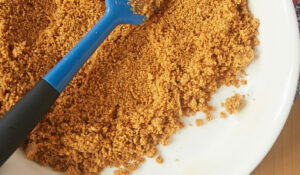 Using an electric mixer, mix the peanut butter and butter until smooth. Add the brown sugar and beat until combined. Add the eggs and vanilla, mixing until combined. Gradually add the flour mixture, mixing just until combined. Scoop the dough by tablespoons and roll into balls. Roll the balls in granulated sugar to coat completely. Place 2 inches apart on baking sheets. Bake about 7 minutes, or until the cookies begin to puff slightly. 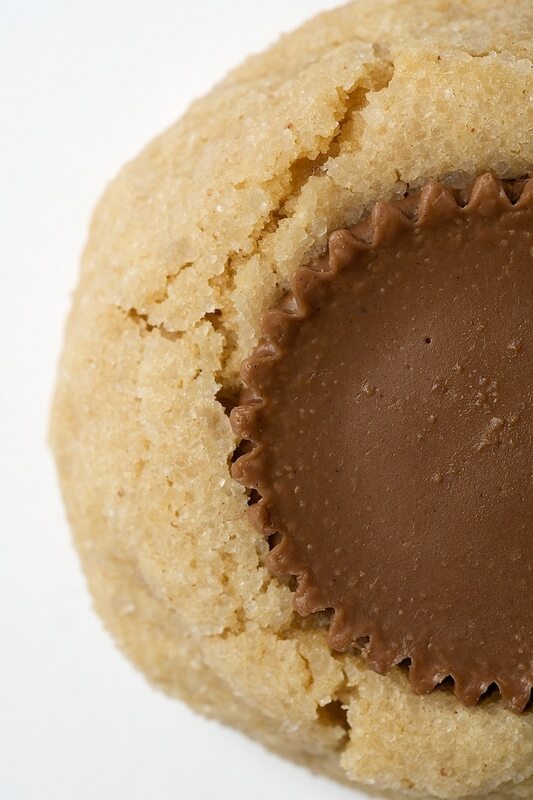 Remove from the oven, and press one peanut butter cup in the center of each cookie. Bake for about 6 minutes, or until golden brown and chocolate has begun to melt. Cool 10 minutes on pans. Then, transfer to wire racks to cool completely. I saw those in Everyday Food too and was drooling over them. Unfortunately my husband has a mis-placed palate and doesn’t like peanut butter and chocolate together! Right?! I know. 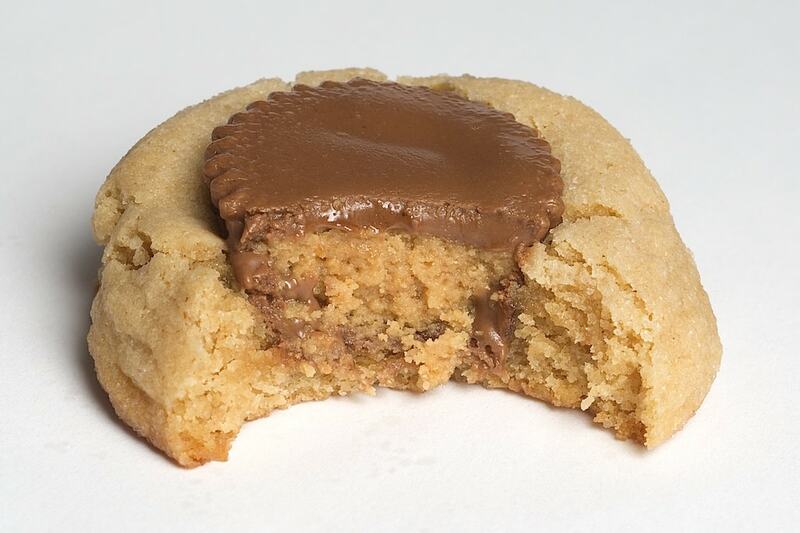 Is that a Reese’s Peanut Butter Cup in the center of the cookie. I opened my google reader and All I saw was a huge peanut butter cup. This looks amazing. WOW – Now this is heaven….. I love this! Great post…. It’s printed and ready to go, as soon as I find those mini pb cups. Mmmm what Chrismas treat those are going to make! My sister-in-law just made these over last Christmas, but she used a pb cookie mix ( 🙁 ) and the regular size Reese’s cups. They were good, but I couldn’t believe she didn’t home make the dough! Gonna have to try these. Chocolate and PB is the ultimate combo. I grew up with the whole PB cookie and chocolate kiss combo, but the Reese’s sounds delicious! Love it!! I always look forward to your recipes, especially because your pictures are so great! Peanut butter and chocolate is one of the best combinations, thanks for the post! so simple and yet so delicious. Holy crap. 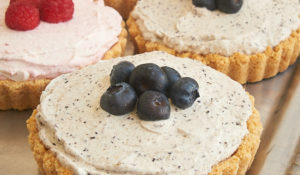 I think I’ll have to make these tonight! Oh I love these! Yummy! Use the peanut butter blossom recipe, but instead of kisses, hide a Nestle treasure inside (I use caramel). 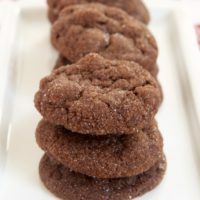 They melt inside the cookie – it is hands down my husband’s favorite cookie. At Christmas, we call them Santa’s hidden treasures, but have numerous different (and bawdy) names for them for other times of year. I’ve seen the refrigerated cookie dough recipe but much prefer this one, thanks! 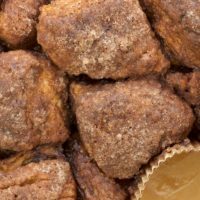 MMmm…all the brown sugar surely makes ’em good & chewy…yum! Love these! Anything with peanut butter is a hit with us for sure. 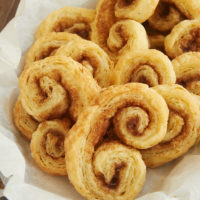 I do remember Mama making these for us, and I have always loved them! Thanks for sharing with us. They were great! I saw these too and wanted to try them, now that I know that they are fabulous, I will give them a try! They look amazing!!!! Good for you for staying away from trans fats! If only every consumer could be as knowledgeable as you! Jennifer, these look so good. I just made a batch of peanut butter buddy bars for my grandson. They got lost by UPS so had to be tossed. I am going to do a remake and send these to him this week. Your recipe will certainly more than make up for his disappointment. Thanks! That looks heavenly! The “cookie” part so nice and soft! Funny thing is that I don’t really like either one, peanut butter or chocolate on its own but put them together and something wonderul happens, YUM! This gives me the warm fuzzy’s. My mom never made them but it is what I imagine childhood is like in a perfect world. what an utterly enticing photo! It borders on cruel! Now these are right up my alley! The sugar coating makes all the difference. I’m convinced that if you took 2T of sugar out of any cookie recipe and sprinkled it on top of the cookies instead, it always ends up tasting sweeter. This is one of my favorite recipes to make. I think my mom made these cookies every year for the holidays. I continued the tradition with my own family and they always disappeared very quickly. 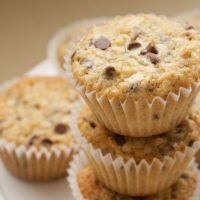 They are delicious just out of the oven when they are still warm and the chocolate and peanut butter are soft and melted…delicious with a glass of milk! Ooh…I’m making these Christmas week. I can’t wait. 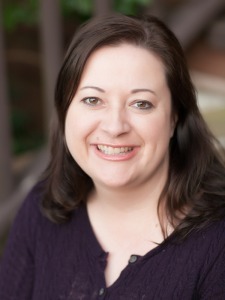 I’m linking, too…I love your blog!